Whoopie! Another blog spot! Cuz I feel like writing! Yay! So today's post is going to be about Internet Friends! YAY! I think it was about 7 years ago when I first met my Internet friends. Yep. I was 12 years old. I have been talking to them for almost 10 months or so. I met them in December and wow, it was such an experience. Who are they? Well, they're Dafinites. I was a total huge fan of Dafi back then, when he was in AF5. So I went online and searched about him and found Dafi Fan Club, or DFC. I chatted with a lot of them including those who were (are) really close to Dafi. I really wanted to meet them and Dafi, mostly. Turns out they were holding Dafi's birthday celebration at KL Tower in December. I was so excited and I told my family about it. Being absolutely sporting, they agreed. So there I was, with my sister as chaperon. Moving on..... the next Internet friends I met were the ArchAngels! It was in 2011 when I went to David's concert in KL. Oh man, I end up flying to KL every time I meet my Internet friends. Hahah! Well, it was extremely memorable. I've been talking and getting to know them through the screen for about 3-4 years! Larissa, Hanna, Irfan, Me, Sal, DAVID, Weiyan, Mai, Jeff, June. In 2013, I met another person! He was kinda my friend. Got to know him through Twitter because I stalked him! Haha! He got in to Foundation in TESL too so I was finding for friends and checking out if there were going to be good looking guys. Haha! Found Amir Dee. He's such a cool person and very chilled although at times he can get stressed about things. Seems like a lot of girls are after him. Anyway, I met him after the placement test. He was like, "Zulaikha?" and I nodded. Haha. Not really an Internet friend but.... I guess I still got to know him online! AmirDee, Nabila, Me and Ereen. Another person was Sham. I got to know him through one of my closest friends, Arie. They attended the same high school, MRSM TGB. So... yeah. We got to know each other through Facebook and started getting friendly. Haha! He is a really cool dude. Full of stories and enthusiasm. I think if you give him a topic, you can actually listen to him talk for hours! Just sit there and listen. Haha. He also gives good advice and wow. Ohhh right! We met this year! Took us five months before we actually met. Haha. 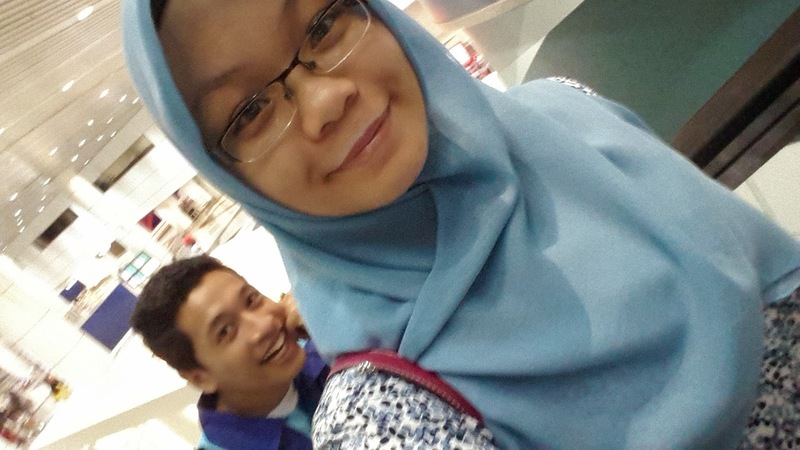 The day I had my UM interview was the day he accompanied me. The. Whole. Day. He gave me tips for the interview and such. Really grateful for it. So that is all for today! It is really cool though, when you meet people online. I mean, it's like, you have never met them but only talk to each other through Facebook or Twitter and such. Over time, you create this kind of bond where you've just.... become really good friends! You share a lot of things with them and they listen. Vice versa. I think it's really beautiful. Sad thing is, some people actually lie. Lie about everything. It saddens me because these things happen. Yes, you need to be careful but why not start a healthy relationship in the first place? Why play around? Be positive and be happy.